The journal Science has lauded an eye-opening HIV study, known as HPTN 052, as the most important scientific breakthrough of 2011. This clinical trial demonstrated that people infected with HIV are 96 percent less likely to transmit the virus to their partners if they take antiretroviral drugs (ARVs). The findings end a long-standing debate over whether ARVs could provide a double benefit by treating the virus in individual patients while simultaneously cutting transmission rates. It's now clear that ARVs can provide treatment as well as prevention when it comes to HIV, researchers agree. In addition to recognizing HPTN 052 as the 2011 Breakthrough of the Year, Science and its publisher, AAAS, the nonprofit science society, have identified nine other groundbreaking scientific accomplishments from the past year and compiled them into a top 10 list that will appear in the 23 December issue. Myron Cohen from the University of North Carolina's School of Medicine in Chapel Hill, N.C. and an international team of colleagues kicked off the HPTN 052 study in 2007 by enrolling 1,763 heterosexual couples from nine different countries: Brazil, India, Thailand, the United States, Botswana, Kenya, Malawi, South Africa and Zimbabwe. Each participating couple included one partner with an HIV infection. Then, earlier this year, four years before the study was officially scheduled to end, an independent monitoring board decided that all infected study participants should receive ARVs at once. The board members had seen the dramatic effects of early ARV treatment on HIV transmission rates, and they recommended that the trial's findings be made public as soon as possible. Subsequently, the results of HPTN 052 appeared in the 11 August issue of the New England Journal of Medicine. "This [HPTN 052 trial] does not mean that treating people alone will end an epidemic," said Science news correspondent Jon Cohen, who wrote about the trial for Science's Breakthrough of the Year feature. "But, combined with three other major biomedical preventions that have proven their worth in large clinical studies since 2005, many researchers now believe it is possible to break the back of the epidemic in specific locales with the right package of interventions." Treatment with ARVs was already known to reduce the viral load, or the actual amount of HIV, in an infected individual. Many HIV/AIDS researchers had thus reasoned that treated individuals should also be less infectious. But, before HPTN 052, skeptics had contended that such a theory was unproven — and that the viral load might not reflect levels of virus in genital secretions. "Most everyone expected that reducing the amount of virus in a person would somewhat reduce infectiousness," explained Jon Cohen. "What was surprising was the magnitude of protection and then the impact the results had among HIV/AIDS researchers, advocates and policy-makers." These findings have added important momentum to a movement, already underway, that promotes the ongoing treatment of HIV to reduce viral loads in communities and could possibly eliminate HIV/AIDS epidemics in some countries. But moving forward won't be easy, researchers say. "There are huge hurdles when it comes to applying this clinical trial evidence to a population," said Jon Cohen. "Some 52 percent of the people who need ARVs immediately for their own health right now have no access — and that's 7.6 million people. What's more, there are all sorts of obstacles that hinder attempts to scale this up that have more to do with infrastructure than the purchase price of drugs." Still, some researchers consider HPTN 052 a "game-changer" because of its near-100 percent efficacy in reducing HIV transmission rates. And, indeed, it has already sprung many clinicians and policy-makers into action. For all these reasons, Science spotlights the HPTN 052 study as the 2011 Breakthrough of the Year. Science's list of nine other groundbreaking scientific achievements from 2011 follows. The Hayabusa Mission: After some near-disastrous technical difficulties and a stunningly successful recovery, Japan's Hayabusa spacecraft returned to Earth with dust from the surface of a large, S-type asteroid. This asteroid dust represented the first direct sampling of a planetary body in 35 years, and analysis of the grains confirmed that the most common meteorites found on Earth, known as ordinary chondrules, are born from these much larger, S-type asteroids. Unraveling Human Origins: Studying the genetic code of both ancient and modern human beings, researchers discovered that many humans still carry DNA variants inherited from archaic humans, such as the mysterious Denisovans in Asia and still-unidentified ancestors in Africa. One study this year revealed how archaic humans likely shaped our modern immune systems, and an analysis of Australopithecus sediba fossils in South Africa showed that the ancient hominin possessed both primitive and Homo-like traits. Capturing a Photosynthetic Protein: In vivid detail, researchers in Japan have mapped the structure of the Photosystem II, or PSII, protein that plants use to split water into hydrogen and oxygen atoms. The crystal-clear image shows off the protein's catalytic core and reveals the specific orientation of atoms within. Now, scientists have access to this catalytic structure that is essential for life on Earth — one that may also hold the key to a powerful source of clean energy. Pristine Gas in Space: Astronomers using the Keck telescope in Hawaii to probe the faraway universe wound up discovering two clouds of hydrogen gas that seem to have maintained their original chemistry for two billion years after the big bang. Other researchers identified a star that is almost completely devoid of metals, just as the universe's earliest stars must have been, but that formed much later. The discoveries show that pockets of matter persisted unscathed amid eons of cosmic violence. Getting to Know the Microbiome: Research into the countless microbes that dwell in the human gut demonstrated that everyone has a dominant bacterium leading the gang in their digestive tract: Bacteroides, Prevotella or Ruminococcus. Follow-up studies revealed that one of these bacteria thrives on a high-protein diet while another prefers vegetarian fare. These findings and more helped to clarify the interplay between diet and microbes in nutrition and disease. A Promising Malaria Vaccine: Early results of the clinical trial of a malaria vaccine, known as RTS,S, provided a shot in the arm to malaria vaccine research. The ongoing trial, which has enrolled more than 15,000 children from seven African countries, reassured malaria researchers, who are used to bitter disappointment, that discovering a malaria vaccine remains possible. Strange Solar Systems: This year, astronomers got their first good views of several distant planetary systems and discovered that things are pretty weird out there. First, NASA's Kepler observatory helped identify a star system with planets orbiting in ways that today's models cannot explain. Then, researchers discovered a gas giant caught in a rare "retrograde" orbit, a planet circling a binary star system and 10 planets that seem to be freely floating in space — all unlike anything found in our own solar system. Designer Zeolites: Zeolites are porous minerals that are used as catalysts and molecular sieves to convert oil into gasoline, purify water, filter air and produce laundry detergents (to name a few uses). This year, chemists really showed off their creativity by designing a range of new zeolites that are cheaper, thinner and better equipped to process larger organic molecules. Clearing Senescent Cells: Experiments revealed that clearing senescent cells, or those that have stopped dividing, from the bodies of mice can delay the onset of age-related symptoms, such as cataracts and muscle weakness. Mice whose bodies were cleared of these loitering cells didn't live longer than their untreated cage-mates — but they did seem to live better, which provided researchers with some hope that banishing senescent cells might also prolong our golden years. 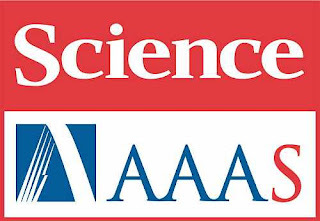 The American Association for the Advancement of Science (AAAS) is the world’s largest general scientific society, and publisher of the journal, Science as well as Science Translational Medicine and Science Signaling. AAAS was founded in 1848, and includes some 262 affiliated societies and academies of science, serving 10 million individuals. Science has the largest paid circulation of any peer-reviewed general science journal in the world, with an estimated total readership of 1 million. The non-profit AAAS (www.aaas.org) is open to all and fulfills its mission to “advance science and serve society” through initiatives in science policy; international programs; science education; and more. For the latest research news, log onto EurekAlert!, www.eurekalert.org, the premier science-news Web site, a service of AAAS.